As world leaders congregate in this Turkish resort town, Friday night’s ghastly terror attacks in Paris, ongoing war in nearby Syria, the migrant crisis in the region and the need for strengthening the crackdown against terrorism will take the centre stage. Some world leaders, including Modi are also likely to voice concern over delay in implementation of the quota reform of the International Monetary Fund, aimed at giving more voice and voting power to the emerging economies as well as providing a pitch for cutting transaction cost for transferring money from abroad. Modi, who was scheduled to arrive late on Saturday night from London after completing his three-day UK visit, is also likely to hold bilateral meetings with some of the G20 leaders on the margins of the Summit, as also with IMF Chief Christine Lagarde. The G20 countries account for 85 per cent of the world economy, 75 per cent of the global trade and two-third of the world’s population. 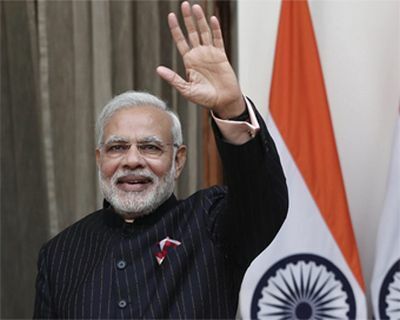 “During the summit, we will review the progress on decisions taken at the Brisbane Summit and take up issues of climate change, terrorism, refugees, weak growth in global economy, strategies for growth and employment, investment strategies, trade, energy and financial sector resilience,” Modi had said in a Twitter post before embarking on the visit. The summit, he said, is being held at a critical juncture - just after the adoption of Sustainable Development Goals agenda at the United Nations, and just before discussions on climate change at COP-21 in Paris on November 30-December 1. “Like last year, India’s focus on mitigating the menace of black money, tax evasion and bringing greater transparency remains,” Modi said. The G-20’s mandate is to foster economic and financial stability and the 2015 Summit agenda refers to “strengthening the global recovery” and enhancing market regulation, energy policy and climate change. Turkey, a North Atlantic Treaty Organization member which has taken in more than two million refugees from Syria and Iraq and faces a threat of spillover from the conflicts, however, wants the heads of state to also discuss the unrest there. The G20 leaders will convene for a working dinner on Sunday to address the intensifying refugee crisis and global terrorism. The meeting is taking place at a time when several economies are struggling for a decent growth rate. This week, the Organisation for Economic Cooperation and Development in Paris lowered its global growth forecast for the second time in three months. China’s growth has slowed down to less than 7 per cent, causing a sell-off in the stock market and pushing down oil prices. Russia is also contracting after the collapse in oil prices and sanctions set by Western nations after Moscow annexed Ukraine’s Crimea. While Argentina is on the cusp of meltdown, Brazil is trying to navigate a deepening recession and rampant inflation. A commitment that G20 makes every year, time to deliver?